Stand out from the crowd for your choice of shoes. 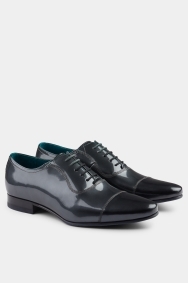 Few formal shoes can match these Ted Baker ones for personality. The silver finish has a subtle blue tint to add interest without taking over. 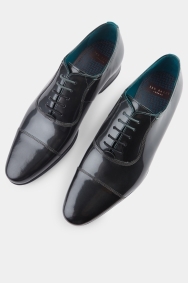 In a classic Oxford shape, they’re ideal for pairing with your smartest suits. 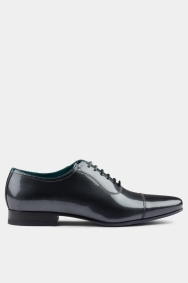 Whenever you’re wearing a tux, you can turn to these patent shoes. They’ll look stylish with black trousers and help bring out other tones in a statement jacket.